BLOGDoes Your State Protect Free Speech on Campus? It’s October, and college classes are in full swing. Many students across the country are learning new ideas and ways of looking at the world. But, unfortunately, there are many who are not. Across the United States, university administrators are restricting the free speech rights of their students, faculty, and visitors. There is a disturbing decline in the civil exchange of ideas on campus. Many conservative speakers are invited to campuses only to have their speaking engagements shut down by violent protesters. Even so, protests and interruptions are not the biggest threat to free speech on college campuses. These policies can take several different forms. The most common are speech zones, speech codes, and restrictions on the freedom of association. Many states are beginning to protect the freedom of speech in their institutions of higher education by enacting laws that prohibit these harmful policies. Look at the maps below and see if your state has enacted measures to prohibit speech zones, prohibit speech codes, or protect the freedom of association. The First Amendment of the Constitution protects the freedom of speech. So, it is ironic that supporters of the group of Young Americans for Liberty (YAL) were arrested at Kellogg Community College in Michigan for handing out . . . pocket Constitutions. School administrators argued that the YAL members had violated its solicitation policy, which states that students must obtain permission from the school before engaging in expressive activity anywhere on campus. Chike Uzuegbunam wanted to spread the gospel at Georgia Gwinnett College by speaking and passing out literature to his fellow students. In doing so, he ran up against his school’s speech zone and speech code. First, school administrators restricted Chike’s activity to two small speech zones that made up less than 0.0015 percent of campus. Then, even after Chike complied with those unfair requirements, administrators still shut Chike’s speech down, claiming that it was “disorderly conduct” under their speech code. Students at the University of California at Berkeley requested to form a chapter of Young Americans for Liberty (YAL). But administrators at UC-Berkeley denied their request because YAL was “too similar” to Cal Libertarians, another student group on campus. Not only was this clear discrimination against the student’s political views, it showed the school administration’s favoritism. There were several similar left-leaning student groups that were allowed to operate on campus despite having similar missions. College students do not give up their freedom of speech when they arrive on campus. And universities are supposed to be places where free speech thrives—where students can learn from many different viewpoints and ideas. 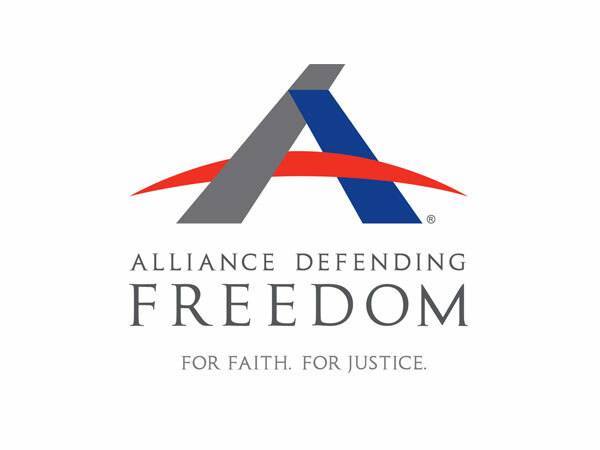 The ADF Center for Academic Freedom is dedicated to ensuring freedom of speech and association for students and faculty on America’s campuses. CAF attorneys have litigated federal lawsuits and have earned almost a 90 percent success rate at challenging violations of student’s First Amendment rights. Learn more about what the Center for Academic Freedom is doing to preserve First Amendment freedoms on campuses across the country.